Golf has become unnecessarily long and challenging, which can make the game more frustrating, difficult and time consuming than it needs to be. The whole point of playing golf for recreation is to have fun, and developing shorter golf courses helps to emphasize that. Click here to read 6 benefits of playing on a short golf course. 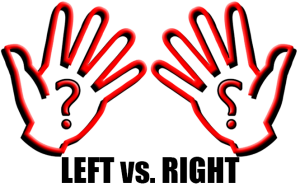 Lefties make up 10 to 12 percent of the population. In the golfing world, industry experts say, left-handed golfers make up about 5 to 7 percent of the North American market. Golf pros estimate that number being an average of 1 out of every 30 players are left handed. So why are there so few left-handed golfers? There are several answers, from a lack of equipment to parents, coaches and pros encouraging young players to switch to the right side. Some lefties even feel the courses themselves are biased against them. Manufacturing reps acknowledge that left-handed equipment has been scarce until recent years, which has affected on which side of the ball players stand. Rather than a case of demand creating supply, it has been a bottom-line approach of supply creating demand. TaylorMade, unlike other major manufacturers, has one set of clubs available exclusively for left in its 713 PM irons, designed by Mickelson. The company also has Weir in its stable of star endorsees. In fact, manufacturers estimate the percentage of left-handed golfers among women — about 3 percent — is notably less than the numbers for men. Although most historians agree that the birthplace of golf occurred in Scotland, the sport has a rich and colorful history in Ireland. Dating back to the mid-1800s, one of the fascinating aspects of Ireland’s golf history is that many of its oldest courses are still around today, giving players and tourists a first hand account of its history. 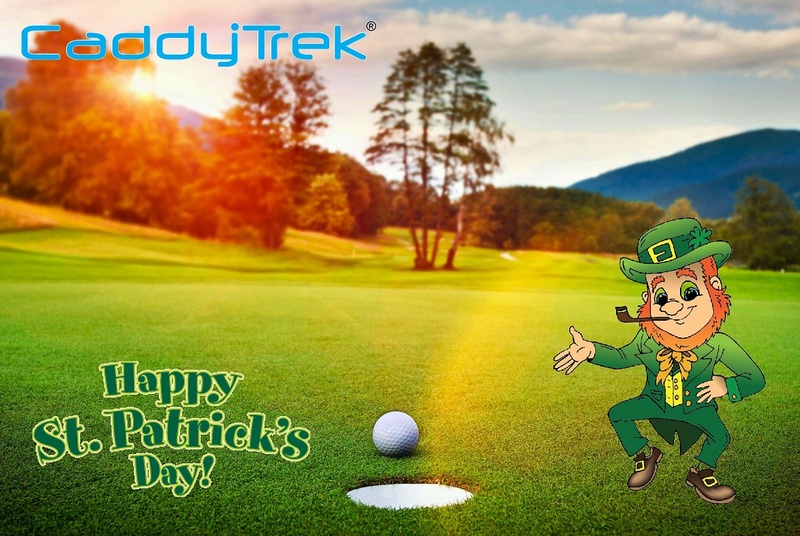 Today, Ireland is one of the nations with the most golf courses per capita in the world. Golf in the modern world originated from a game played on the eastern coast of Scotland in the Kingdom of Fife during the 15th century. Golf was officially introduced in Scotland in 1421. The game quickly spread throughout Europe due to the royal endorsement of King Charles I who brought the game to England. One of the oldest and most popular courses at the time was the Royal Curragh Golf Club, which opened in 1856. It quickly spread to Ireland from Scotland. 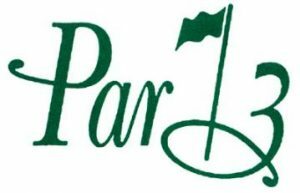 The Professional Golfers’ Association (Great Britain and Ireland) was founded in 1901 and is based out of The Belfry, England. It was established to professionalize careers in golf and grow the golf community in Great Britain and Ireland. The Association initially included 70 members and has now grown to over 7,500. The Golfing Union of Ireland was established in 1891, making it the oldest national golfing union in the world. It is based out of Carton House, Maynooth. It currently represents 430 golf clubs and 170,000 members, compared with the nine original founding clubs. Union business is conducted by a Central Council and four smaller governing branches: Connacht, Leinster, Munster, and Ulster. The Irish PGA Championship has been held annually at many of the nation’s courses since its founding in 1907. It is the oldest tournament in Ireland.. The Irish Open is a professional tournament established in 1927. It was revived in 1975 and is now on the European Tour and a qualifying event for the Open Championship. The Irish Amateur Open Championship is a 72-hole stroke play event established in 1892 by the Golfing Union of Ireland. The Irish Senior Open is a 54-hole stroke play event in the European Seniors Tour. It was established in 1997. The Volopa Irish Challenge was established in 2015 and is a tournament on the Challenge Tour. 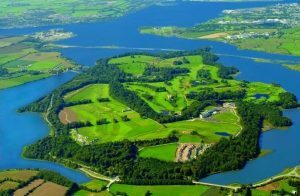 Ireland has twenty-six different counties, seven different types of regions, and nearly 300 different courses to suit any golfers needs. Did you know that nearly 95 percent of PGA Tour players wear golf gloves? Most players feel the thin piece of leather (or combination of multi-material gloves) that stands between them and the club is a vital piece of equipment. And although gloves do not warrant fancy names or much-publicized USGA rulings, there are important keys to pay attention to when it comes to your gloves. Now is the time of year when golfers find their gloves from last season in various stages of disrepair. And even if you hadn’t treated your gloves so poorly, fact is, the ones you have left over are likely stretched beyond the point of being a snug fit, rendering it pretty much useless. 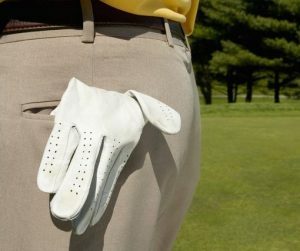 Though most golfers won’t get rid of a glove unless it’s ripped, you need to toss those gloves out and start new, buying two or three that you can use in a rotation, which will make them last longer. Another tip on gloves: If you have hands that tend to perspire in warm weather, consider using a rain glove even when the sun is shining. When the hands get sweaty, leather gloves not only get wet with perspiration, but they’re tough to get on and off your hand for those who feel it is tour-pro cool to take your glove off after every shot. Rain gloves go on and off easy, get tackier when wet and are far more durable. Finally, stop pulling on the cuff of the glove near the wrist. That just stretches it. Smooth the glove out with your non-gloved hand instead. After all, if you’re going to be in the 95 percent, make sure you’re at the top of it. 1. A Sharpie to mark your ball – The Sharpie is an integral part of the bag. Purchase one of the small ones. Not sure how you want to mark your ball? Put a simple dot above the number and then a dot below the number on the next ball. 2. Set make-up doesn’t match the shots on your course – You can’t just go with a typical set make-up and think you’re good to go. If you don’t use a club very often it’s entirely possible something else in place of it would be more useful. 3. A bag that’s too heavy if you walk – If your bag weighs more than five pounds when empty, that can make for a difficult hoof. However many players walk and carry with a bag loaded with non-essential items. Keep to a minimum number of tees, ball markers, towels and golf balls. 4. A bag with your name on it – Here’s the rule on this: Unless you have a reserved parking spot at the next PGA or LPGA Tour event or are the head professional at a golf facility, this is forbidden. You don’t look cool. 5. Excessive bag tags = If you’re lucky enough to be a member of a private club, proudly display the one from your home course and maybe one other. If you have a bag tag from the local scholarship association’s annual scramble event, rip it off immediately. 6. 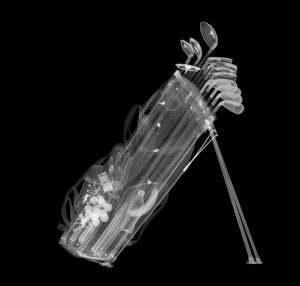 Clubs that are more than five years old (putters excepted) – If your clubs are more than five years old that is wrong and wrong, especially if you haven’t been fit. Ask one of your golfing buddies how getting fitted can improve your game. 7. No rain glove – Your golf game can suffer greatly if you’re not prepared for wet weather. Make sure you have a pair of rain gloves, water-repellent rain jacket, rain pants and umbrella. Being prepared for poor weather puts you two up on the first tee. The rain glove can come in pretty handy on a steamy, humid day as well. 8. You have 14-way dividers – Bag companies tout these abominations by stating how much wear and tear they’ll save your clubs. You don’t need to coddle implements that you strike into the ground and into a hard ball at close to 100 miles per hour with regularity. 9. You need a rangefinder/GPS – If you don’t have a rangefinder or golf course GPS app, get one. All you’re doing by guessing at distances, pacing off yardages or looking for that 150 marker is holding up the rest of us and hurting your game. Dan Jenkins, the Hall of Fame golf writer and Golf Digest Writer-at-Large, died March 7, at the age of 90. 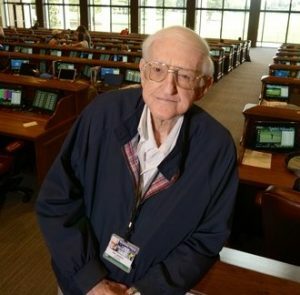 In May 2012, Dan Jenkins was inducted into the World Golf Hall of Fame for his contributions to golf journalism over 60-plus years, honored in a ceremony alongside other inductees Phil Mickelson, Hollis Stacy, Sandy Lyle, and Peter Allis.